Ants in a Pressure Switch. Home / Sarasota Plumber / Ants in a Pressure Switch. Many people in the Sarasota and Bradenton area have to call a Plumber to come to their house, because they are on a well and have no water. If you are one of those people, how many times in a year have you woken up to no water in your beautiful country home? Many times it is a trade-off to have acreage and seclusion. It’s your quiet place, away from the hustle and bustle of town. You see wildlife, your secluded, but sometimes your pump quits working and you have no water. Wimpy’s Dependable Plumbing has found while servicing the Sarasota, Bradenton and Myakka City areas, that the pressure switch is usually the culprit of the infamous, ” I have no water ,” service call. Ants in a pressure switch is a very common problem. When it rains a lot, especially like it has been raining in Sarasota and Bradenton, ants seek out high ground. When I say high ground, it is really the next level up from the area that retains water. Usually this is the pad the pump sits on. The ants will seek out this higher ground and make a home right inside your pressure switch. It’s warm and shady inside the pressure switch. As the ants crawl around inside your pressure switch, and make themselves a comfy little home, they get between the points that make contact when the pump calls for water. When they are caught between the points and the points close, they get squashed and die. This leaves their remnants there on the contacts of the points. The next time the pump calls for water, the pressure switch closes, but cannot make proper contact, due to the ant remnants on the face of the contacts. That’s when you have no water. 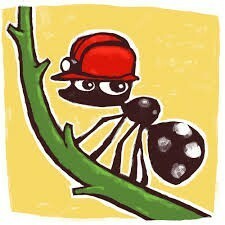 Your dependable plumber in Sarasota has found the best way to prevent ants in a pressure switch, is to mount the switch as high as possible. Sometimes the height is determined by the length of the wire going to the pressure switch or where the pump was originally placed. Also, good house keeping around your pump and pressure switch will help too. Keep the area clean of dirt, debri, and weeds. A well with a pump and pressure switch is an important item to maintain. Don’t just take it for granted. If you need help with understanding your well, your pump, your pressure switch or any plumbing related questions, just call Wimpy’s Dependable Plumbing at 941-322-1911. We will be happy educate you on your well system, especially if it is all new to you. If you have no water, you can call or schedule on line at www.Loveyourplumber.com. We want to be your Plumber!